The following is a summary of some of the road use regulations for golf cars, LSVs, ATVs and UTVs that have been passed or are being considered at the state, county and city levels since May 2016. The ordinances were roughly split half and half between those dealing with golf cars and LSVs and those related to ATVs and UTVs. ATV/UTV ordinances allow for higher vehicle speeds compared to golf car and LSV ordinances. Most of the regulations are in favor of allowing golf car, LSV, UTV or ATV access. Those towns restricting or prohibiting use tend to be concerned about vehicle congestion on particularly high use roads. Georgia Tech University, Atlanta, GA – A new low speed vehicle and golf car policy was passed requiring that any Georgia Tech unit owning or purchasing LSVs or golf carts must ensure these vehicles are street legal and register each of them with Georgia Tech Fleet Services. LSVs must not be driven on high-speed streets (above 35 mph), and golf carts must not be driven on streets with speed limits above 25 mph. 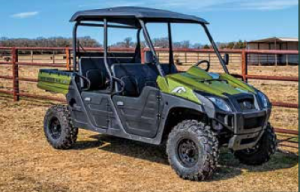 Grayson County, TX – Grayson County Commissioners approved a resolution Tuesday to allow golf carts or similar utility vehicles to operate on some roadways in unincorporated areas of the county. Licensed drivers will be allowed to operate the carts on public roadways with speed limits of 35 mph or less. The resolution is only for unincorporated areas of the county, not inside city limits. Utility vehicles are defined as being designed for off-highway utility work, not for recreation. Poth, TX – The City Council is considering adopting an ordinance currently being used in Rockport, which requires annual inspections of neighborhood electric vehicles at a cost of $10, and insurance coverage. Each vehicle must have headlamps, tail lamps, reflectors, parking brakes, rear view mirrors, turn signals, seat belts, and a flag, mounted on a 6-foot pole, attached to the rear. Panama City Beach, FL – A regulation was passed in May preventing the registration of LSVs unless they can prove they had ordered them before May 12. The city is concerned that the increasing number of LSVs, which grew from 93 to 194 in the past year, will become a road hazard on Front Beach Road. Many of the LSVs are from LSV rental businesses. Canton, IL – A new ordinance allowing golf cars and UTVs generated more interest than expected as the city quickly went through the original 20 permit stickers they purchased in the first month. Utility vehicles must be issued a $50 annual permit by the city, renewable mid-year, and provide proof of liability insurance that has at least the same limits of coverage required by law for regular cars. Operators must also be at least 16 years old and licensed drivers. Landis, NC – The town board passed ordinances that would allow low-speed vehicles on public roadways. Lowering the speed limit on a key roads for LSV travel was required. The Police Chief supported the ordinance. China Grove, NC – The town passed an ordinance that would allow golf cars and low speed vehicles to travel between China Grove and nearby Landis. Insurance, drivers license and permit are required to the drive the vehicles on local streets but an operator would not need a permit from both towns. Lights are needed to drive the vehicles at night. Wake Forest, NC – Town leaders are considering allowing golf cars on some city streets at the urging of local residents. The local police department is against the ordinance for safety reasons. 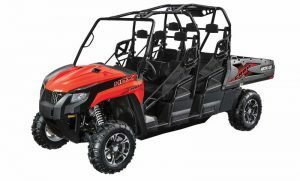 Red River, NM – The town repealed an ordinance allowing ATVs and UTVs to access certain roads because of concerns over safely operating ATVs at high speeds on road rather than off-road. Manufacturers state that ATVs shouldn’t be operated on paved roads. The town expects to pass a new ordinance that will prohibit ATVs but allow UTVs on certain roads and at speeds up to 45 mph. 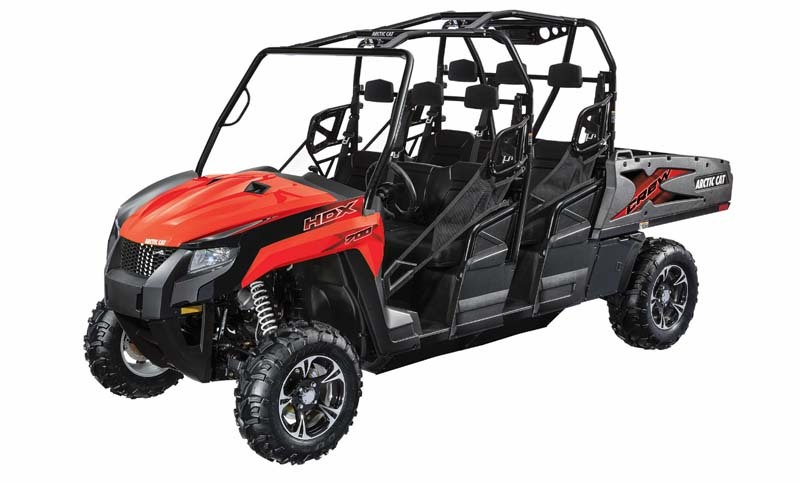 Ames, IA – The town started issuing ATV and UTV licenses in August. ATVs/UTVs are able to travel on gravel roads during daylight hours but cannot exceed 45 mph. The vehicles must have front and rear lights and the owner/operators must be insured, over 16 and have a valid driver’s license. Peosta, IA – The City Council shelved an ordinance regarding the use of golf cars, ATVs and UTVs on city streets . There is concern over vehicle congestion on the already highly trafficked streets that the vehicles would most likely use. Girard City, KS – The City Council voted down a ordinance that would have allowed the use of golf cars, ATVs and UTVs on city streets. Squamish, British Columbia, CA – District of Squamish staff is drafting a bylaw, which, if passed by council, would see low-speed, zero-emissions vehicles allowed on Squamish neighborhood streets. Staff is also investigating the possibility of a future bylaw to allow medium-speed vehicles. A low-speed bylaw would allow the vehicles to travel as slow as 40 kilometers per hour, while a medium-speed bylaw would cover vehicles that travel 60 kilometers per hour. Qualicum Beach, British Columbia, CA – Premier Christy Clark has announced a pilot project that will allow golf carts on local roads (but not major highways) in the Township of Qualicum Beach on Vancouver Island and the Village of Chase in the southern Interior. The move, which starts in September, is intended to give senior citizens another method of transportation around town to run errands. The Garia Mercedes-Benz Style Edition Golf Car extends Mercedes-Benz luxury to the golf course. 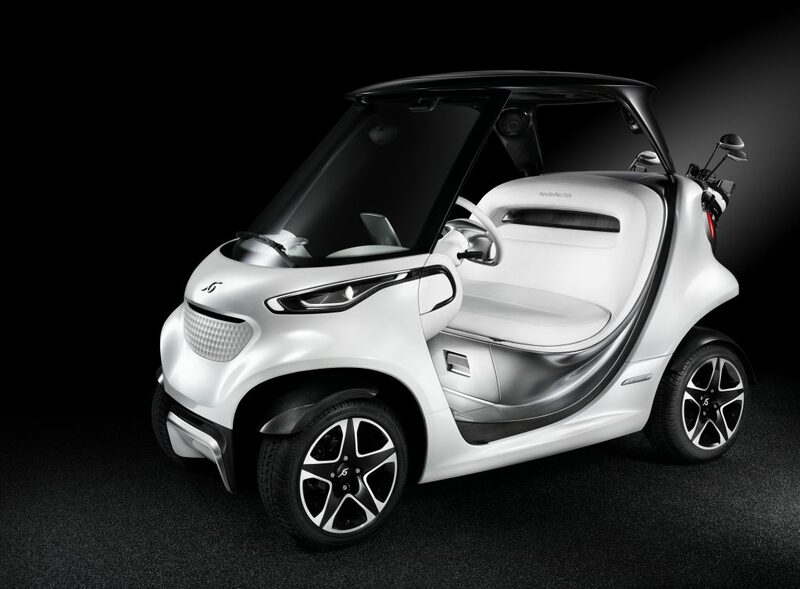 Luxury golf car manufacturer Garia has launched a special edition Mercedes-Benz Style Edition golf car. 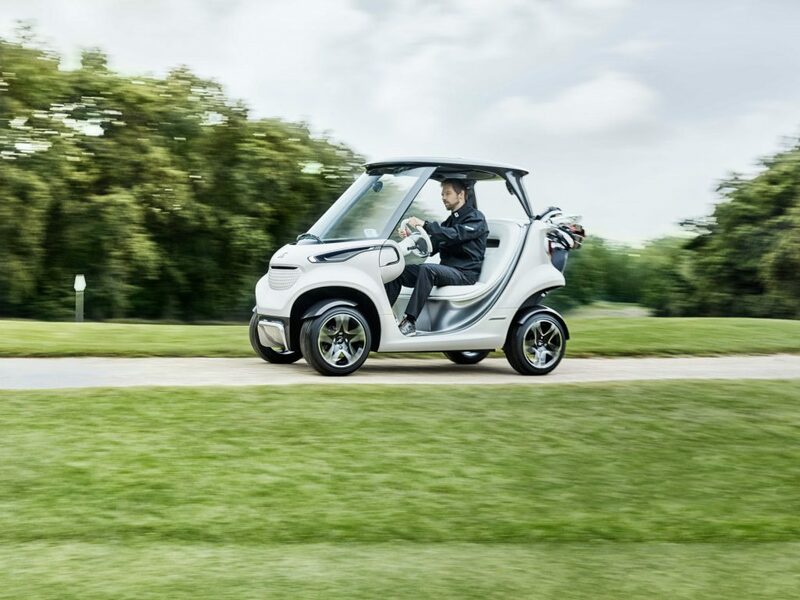 The new golf car is the result of a collaboration between Mercedes-Benz and Garia that started with a Mercedes-Benz call for submissions for new ideas for the golf car of the future. The Mercedes-Benz Style brand was created to extend the modern luxury associated with Mercedes-Benz automobiles to other product categories. This excerpt from the press release details some of the key design elements and the thinking behind them. The sporty impression is heightened by a small rear spoiler which acts as a golf bag holder while being fully integrated into the overall design as a significant feature. It is so constructed that it can accommodate two golf bags slanted rearwards. This slanted position allows golf clubs to be conveniently taken out and replaced. A carbon-fibre diffuser rounds off the lower rear end as a lighthearted reference to the vehicle’s character as a “real sports car”. The bench seat has a sculptured, inviting look like a lounge chair, and blends in with the exterior design to provide a sensual experience. Other examples of intelligent and useful details: There is a refrigerator under the bench seat, and a stowage tray under the dashboard holds golf balls aligned in a row. Bottle holders on the instrument panel support and on the passenger side provide space for glasses and bottles. 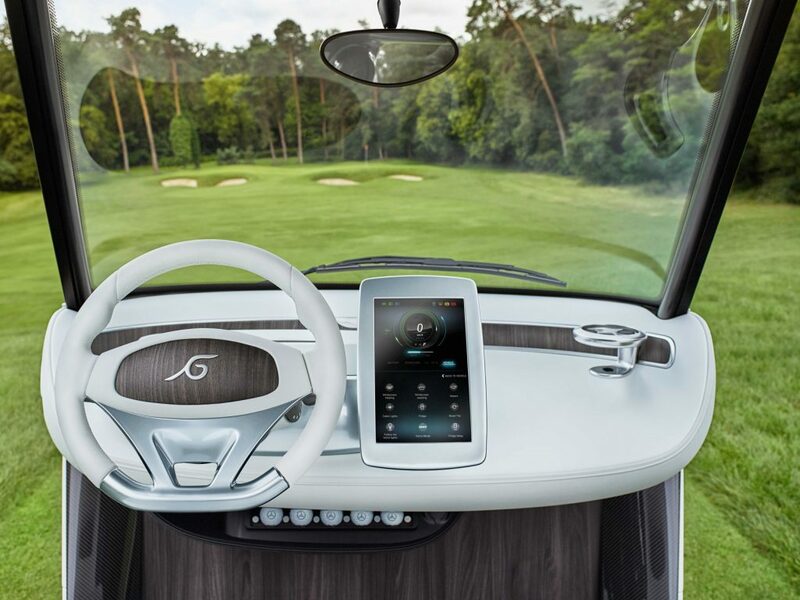 An interior view of Garia’s latest luxury model shows the touchpad and use of leather, metal and wood. 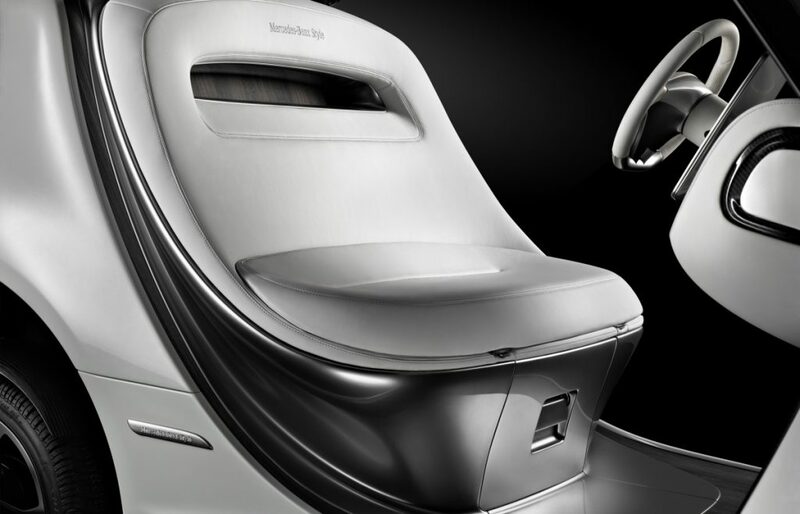 This special edition golf car features a unique seat design including an underseat refrigerator. 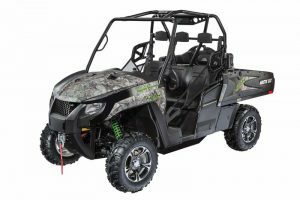 The 2016 Arctic Cat 700 HDX Hunter Edition is part of the recall. The XT models like the 2016 Arctic Cat 700 HDX XT shown in Team Arctic Green are included as well. The 2016 Arctic Cat 700 HDX XT in black. The 2017 Arctic Cat 700 HDX Crew model is also part of the recall. Arctic Cat announced a recall of approximately 4,500 utility vehicles involving all model year 2016 Arctic Cat 700 HDX and model year 2017 Arctic Cat 700 HDX Crew models. This includes the 2016 Arctic Cat 700 HDX XT variations as well. The throttle cable can stick and prevent the throttle mechanism from returning to an idle position upon release of the throttle and cause the rider to lose control, posing a crash hazard and risk of injury. So far only one injury has been reported, a wrist injury. The following information is from the Consumer Product Safety Commission. Description: This recall involves all model year 2016 Arctic Cat 700 HDX models and model year 2017 Arctic Cat 700 HDX CREW models within the vehicle identification number range of 300001 through 301280. 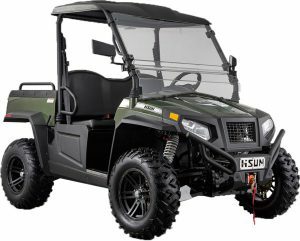 The recalled utility vehicles have four wheels with side-by-side seating for three or six people. They were sold in a variety of colors including green, black, fire red, true timber camo and other colors. “Arctic Cat” is printed on the sides, front and rear of the utility vehicles. “HDX” is printed on the sides of the front fenders. The vehicle identification number on the 700 HDX CREW models is stamped into the upper frame tube under the rear of the cargo box. Incidents/Injuries: Arctic Cat has received 14 reports of the throttle cable malfunctioning, including one report of a wrist injury. Remedy: Consumers should immediately stop using the recalled side-by-sides and contact an Arctic Cat dealer to schedule a free repair. Artic Cat is contacting all known purchasers directly. 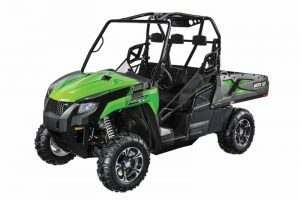 Sold at: Arctic Cat dealers nationwide from April 2015 through July 2016 for between $14,500 and $16,000. Manufacturer(s): Arctic Cat Inc., of Thief River Falls, Minn. The new War Horse 4×4 All Electric is part of a new electric product line from Martex Global Enterprises. There is also a crew version of the 4×4 All Electric. 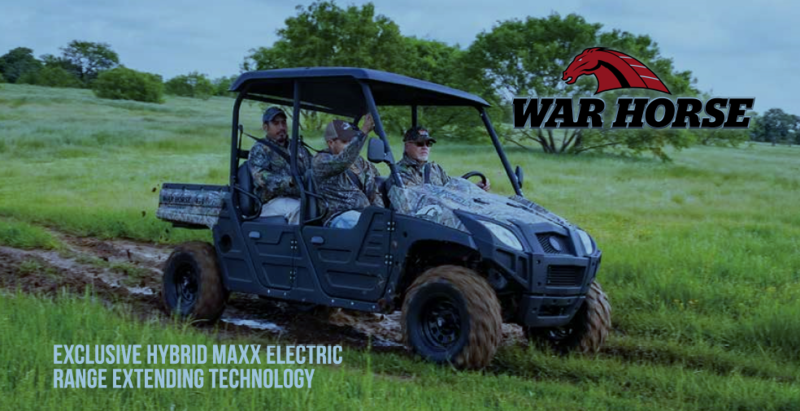 Martex Global Enterprise, LLC of Fort Worth, TX, is introducing an all-electric and hybrid line under the War Horse™ brand. The company, under the direction of Ben King, President and CEO,has for many years manufactured and sold the HuntVe™ line of all-electric 4 X 4 hunting vehicles. The War Horse is similar to the HuntVe, as a four-wheel drive vehicle, but as King explains, “Unlike the HuntVe 4×4 line which is marketed to, and targets only, the hunting industry, the War Horse 4×4 has a broader appeal and speaks to commercial/ industrial/ government applications as well as the general trail riding and outdoor loving consumer.” There are four models in the line, two all-electric, one of which is a crew-type vehicle, seating four, and two are hybrid vehicles, a two-seater and a four-seater crew model. The War Horse 4×4 Hybrid Maxx features a 64 volt electric power train and 460cc gas engine for range extension. There is a hybrid crew version as well with theWar Horse 4×4 Hybrid Crew Maxx. 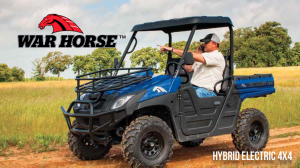 The hybrid models, as well as the all-electrics, feature dual, 38 hp, direct drive motors. As King explains, “We considered moving to a single motor with drive shaft like most of the electric 4×4 competitors, but despite the cost savings, found that a single motor electric 4×4 will not perform to our expectations, and it makes so much more noise.” The expected range extension comes from a 480 cc gas generator, which can extend the range by approximately 30 miles. 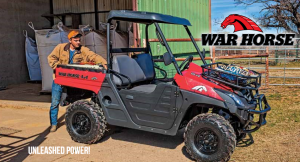 The War Horse specs call for a 20 mile off-road range in electric mode which looks very conservative for the vehicle when not in an off-road environment. Via the convenient on-board charger, the generator will keep the batteries charged for the extra mileage and can be used to recharge the batteries when not driving. In fact, the recharge time from a flat state of charge is only two hours, according to King. To learn more about the vehicle’s development see our article in our Buying Guide section. 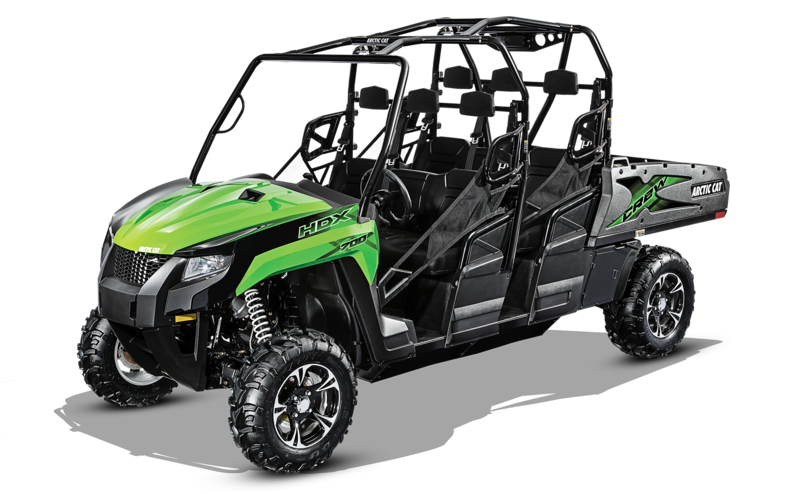 The new Arctic Cat HDX 700 Crew XT for model year 2017 helped drive sales for the quarter. Arctic Cat recently reported financial results for fiscal year 2017 first quarter which ended June 30, 2016. Management reported sales of $104.9 million and a loss of $0.81 million for the quarter compared to $134.4 million and $1.1 million for the prior year quarter. The following are highlights from the earnings call related to the utility vehicle market. Management reported progress on expanding their dealer network, adding 17 top tier dealers in underrepresented territories during the quarter. The goal is to add 75 top-tier dealers for the FY. 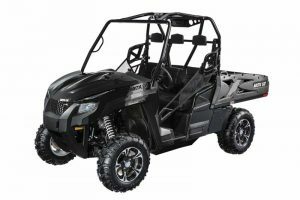 Sales of ATVs and ROVs (side-by-sides) in the 2017 first quarter totaled $43.7 million, down 17.3% compared to prior-year sales of $52.9 million. Arctic Cat ROV retail sales declined high single digits versus a ROV market up low single digits compared to prior year quarter that had tough comparables. ROV retail picked up towards the end of the quarter driven by new products. Key marketing initiatives include Arctic Cat 360 where virtual reality headsets allow consumers visiting Arctic Cat event displays and dealerships to feel the thrill of riding an Arctic Cat Wildcat side-by-side in a realistic 360-degree world, and Wildcat stadium side-by-side races. Management reports a strong rebate and incentive environment. Pricing is competitive unless you have a “hero” product that can sustain a premium price. Guidance for the full fiscal year includes sales of $635 million to $655 million with second half sales driven by new product launches. ATV/ROV sales should be flat to up low single digits.